Happy Friday dolls! I'm so happy the weekend is upon us because my parents are making their way to Boston this weekend for the week and into Thanksgiving...I love me so family time! This was a great week and I want to thank you all again for all the congratulations on my little milestone!! Stay tuned for the winner! 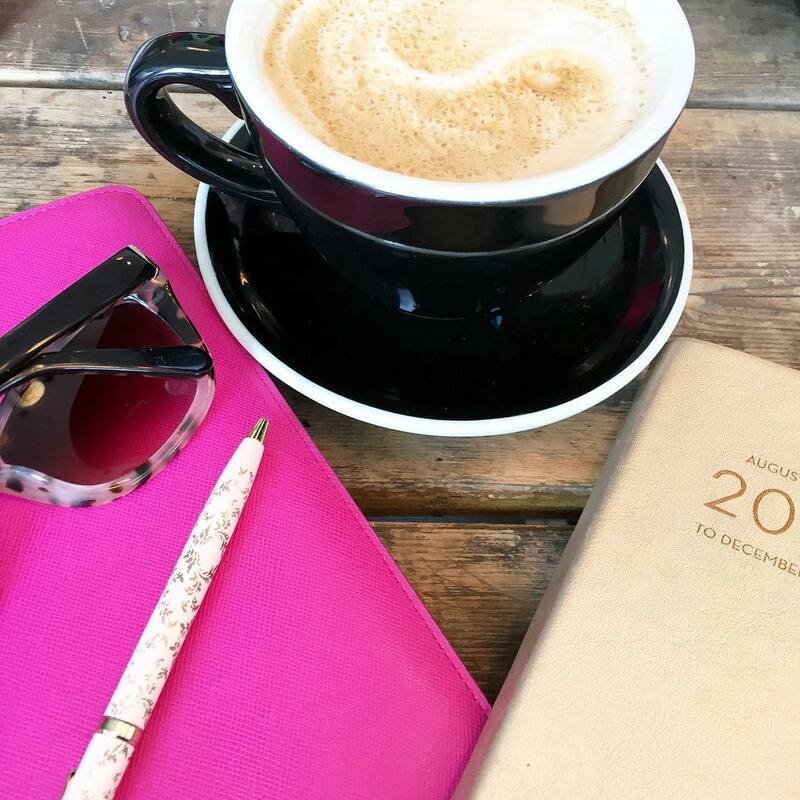 Linking up with Amanda and April for some favorites! Earlier this week Citizens Bank had a few of us over to Brassiere Jo in Boston to learn more about the Hearth Shares organization. This is the second season that Hearth Shares has partnered up with restaurants in Boston to help end elder homelessness. Between November 20 & December 25th at participating restaurants you can choose to add a $1 (or more to your bill) to help the cause. If you're in the Boston area these are the restaurants participating. The program is in 7 different countries and a few US cities including San Francisco & Nashville. I always feel good about my dining choices when the restaurants I visit participate in great programs like this, so thank you Brassiere Jo! We are in full on decorating for the holiday's mode over here, but waiting patiently for the day after Thanksgiving!! 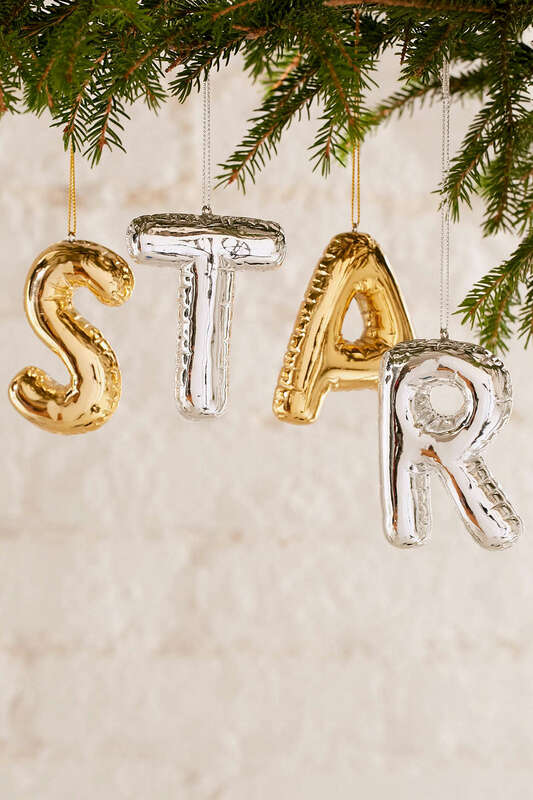 I found these super cute balloon initial ornaments from Urban Outfitters the other day and I think they would be a great addition to our tree or even as a nice little gift to someone that is hard to buy for, even a boss! So Adele released another new song from her album and no shocker here, but she SLAYED it!! Not only is the song amazing, but she recorded the video live...so that's what she sounds like without any studio remastering or anything! No words! I have done holiday cards for the last three years (since we got married) and I think I have finally perfected the process...thanks to mail merges and avery labels everything works seamlessly together. This year I found out (maybe a little late to the party) that if you buy the clear avery labels (I used 18660) you can design your own labels. I only did this for our return address labels, but it will be a nice addition to the back of the cards and a way to close them. 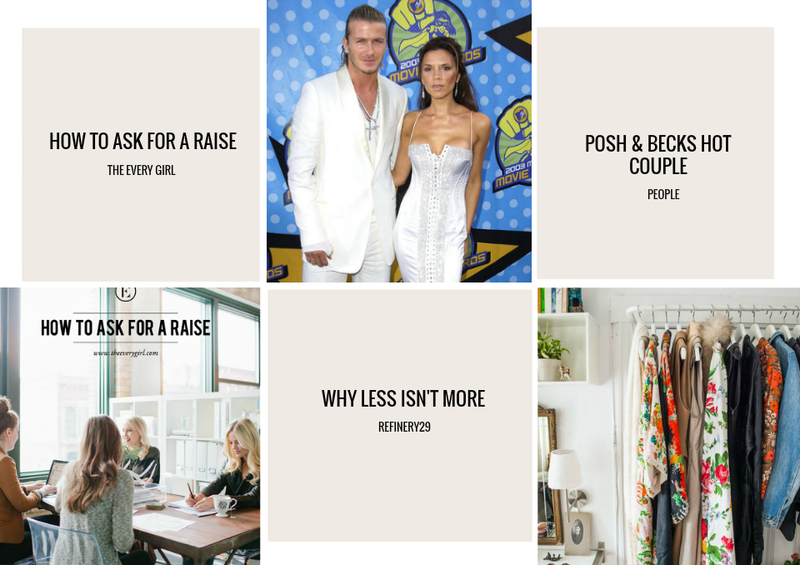 //Loved this article about how to ask for a raise when it's the right time for you //All look back at Posh & Becks through the years - okay he's pretty hot! //I really liked this article about why less is NOT actually more! So that pretty much wraps up the week! Hope you all have a fantastic weekend! WEEE! Cheers for family coming into town early, so my favorite part of Thanksgiving :)! Hearth Shares sounds AMAZING, what a fantastic program. And how cool you can design your return labels, that is pretty fabulous! Happy weekend, friend! Yay for parents coming into town! It'll be a great week for you! Where are they coming from (curious)... Those balloon letters are super cute! I think I'm gonna go ahead and make those Avery labels! Super cute! David Beckham gets hotter as he ages!!! Those balloon ornaments are adorable! I love that! That dinner looks amazing too :) Have an awesome weekend! Adele is a genius and a gem!! Oh I just LOVE those ornaments. I hope you have the most amazing time with your mama and daddy!! Family time is so precious!! 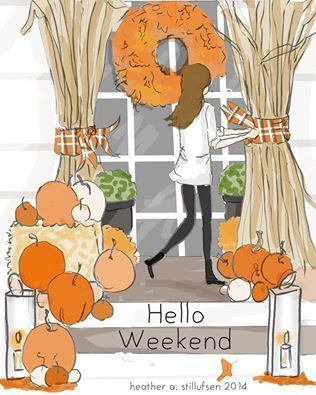 Happy weekending gorgeous!! That dinner looks delicious! Love Adele, and those balloon ornaments...so cute! Enjoy your family time this weekend! Yay for Friday! Those balloon ornaments are the cutest - I have a feeling I'll start decorating in the coming week! Have a fab weekend! The entire Adele album will likely be played on constant repeat in our house. SO freaking good! Have a wonderful weekend friend! omg i need those ornaments!! they do look like little balloons!! urban outfitters gets me every time. have a great weekend, doll! I just had to shut the door to my office so I could hear the new Adele song! She's seriously on another level AMAZING! Enjoy your weekend with your parents--nothing is better! Her voice... I.Just.Can't. I get chills every time, she is just so amazing and can we talk about her hair real quick... I'm thinking I need to try that out, have a great weekend and yay! for family being in town! Great tips! I'm still trying to decide if I should send Christmas cards since we didn't get pictures taken this year, sad but I may have to wait till next year. Keeping your tip in mind though! happy weekend!! That meal looks delicious!!! Have fun with your parents this weekend! Love these links! Posh and Beck's have always been hot, haven't they?! Love that organization in your area--it sounds like a great way to support a great cause! 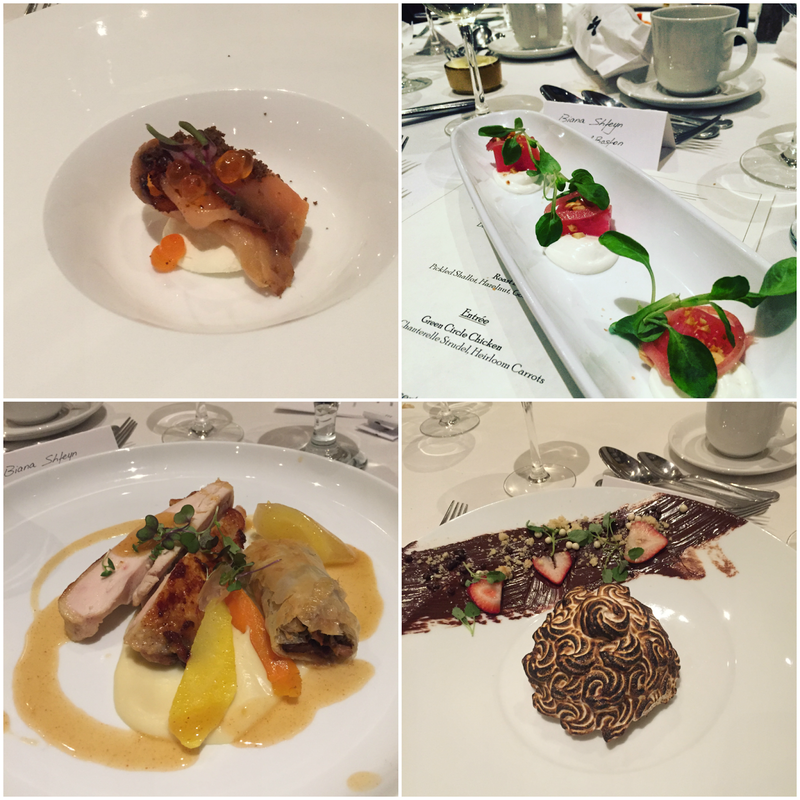 That dinner looked amazing, and for such a great cause! Yay for Christmas cards and personalized return address labels - can't wait to see your card this year! And Adele can do no wrong - LOVE her! Adele can do no wrong! And I really need to get on our Christmas cards - time is flying by! Have so much fun this weekend with the fam! Those ornaments are the cutest! I’d love to even drape one of those over a wine bottle. Enjoy your time with your family over Thanksgiving! I heard Adelle's new song and then checked out the video. One word: amazing! I really need to give those labels a try! So cute and such a major time saver! Hope you have a great weekend! Adele is just amazing, what a voice. I love companies that give back and will over choose them over a company that does not. Happy Friday! I'm with you and waiting until after Thanksgiving to decorate for Christmas, but it's been super difficult to wait this year! Those balloon ornaments are too cute, and I'm seriously so excited for the new Adele album! I think that it'll pretty much be playing nonstop in my office today. Have a great Friday! Your dinner at Brassiere Jo looks amazing and so fancy! I'm a big fan of Beck too...always been my fave! I'm loving all of Adele's new songs. How great your family is coming for the holidays! I hope you guys have the very best time! (: Those little balloon ornaments are seriously adorable! (: There's totally a reason Beckham is People's Sexiest man alive. (; Have an awesome weekend Biana! That dinner looks delicious! I've been jamming out to Adele all morning. I need to close my office door so I can really get into it. Have a great time with your parents!! Have so much fun with your parents this weekend! The dinner looks delicious and for such a great cause! And I'm off to hear Adelle's song - love her! In loveeee with that new Adele song! I've been in major holiday decorating mode as well! I'm trying to restrain myself until after Thanksgiving! I've just been really itching to get all the holiday stuff out this year! So excited! I hope you have a great weekend! Those ornaments are a fabulous find!! I think I "need" them asap! :) Happy Friday friend! Have a fantastic time with your parents B! Those ornaments are so cute I may have to pick those up as gifts for coworkers, perfect personalized gift! Adele is killing it, those Target commercials give me chills. I'm running there to pick up her album after work! I have a feeling I am going to be purchasing Adele's entire album. So good!!! I buy each of my kids a new ornament every year... those might be a perfect addition to our tree! Happy Weekend! 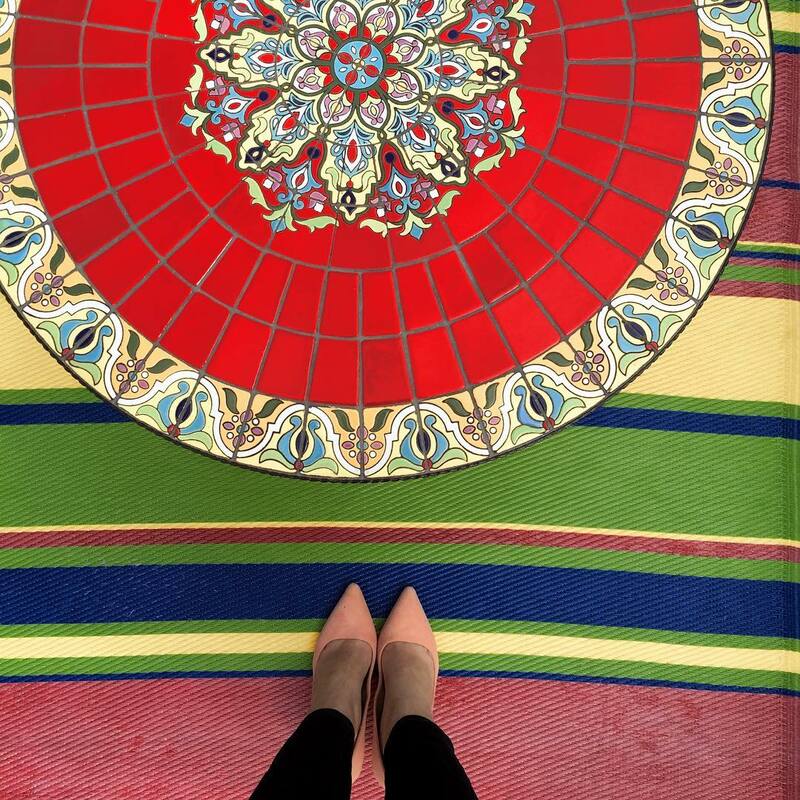 I absolutely loved the article on not being a minimalist. I always feel like I should have my "style" figured out and those staple pieces that everyone purchases even though they aren't really my thing. Like a white button down or chambray top? Anything that buttons down the front on me does not fit at all not ever. But I felt like I was missing out because I dont own those things. This article makes me feel better lol. And maybe I dont want to get rid of those shoes that only go with one outfit bc they look freaking awesome the day I do wear them! What a fancy dinner! Looks amazing. Have a great time with your family! It's always great to get together with family this time of year. Yay for family time! I'm heading home next Wednesday and I cannot wait for some good family time...I'm so excited! That food looks absolutely amazing...I can only imagine how good it tastes! Loving those initial ornaments...buying a new ornament is one of my favorite things to do this time of year :) I'm looking forward to reading that article about why less isn't necessarily more, I have a feeling it will be refreshing! Hope you have a great weekend Biana! The dinner looks delicious! I'm glad your family is visiting you! Have a great time with them! Yay for family coming to visit. Nothing like spending time with family during the holidays. Those balloon ornaments are so cute!! I'm loving Adele's new song. Actually, I love the whole album. I have been listening to it non-stop since I downloaded it this morning. I'm also going to go to Target and get the CD so that I can have the three extra songs that are on it. hahah Hope you have a wonderful weekend. Oh my. Am I behind on Christmas already? I guess I gotta get a move on. How fun! Have so much fun with your family! PS I love those balloon ornaments! Great find! The labels are a genius way to close envelopes... and probably far more efficient than my glue stick. Yay for it being less than a week now! So exciting that you have family coming in early, that will make it really feel festive! I am going to check out the "Less isn't More" article now..it seems interesting. I hope you have a great weekend! Have fun with family! My parents are also coming to visit and I'm super excited! Thanks for reminding me that Adele's album is out today...it's like Christmas came early!! Adele is so incredible, I just cannot get enough of her music right now. Enjoy your family time - that's the best part of the holidays! Those balloon ornaments are fab!! I want one for every member of the family!! Have a wonderful weekend and enjoy all of the time with your parents! I know you will! Such a great post! Those balloon ornaments are so cute! Have a wonderful weekend! Have the best time ever with your family! Adele is crazy good - to have that voice, can you imagine? I was checking out the initial ornaments at UO last week. I'm not a huge Adele fan (gasp!) but the PA I'm working with has had her album on repeat all day and I like some of the more upbeat songs lol :) Hope you have a fabulous Friday! Lovely post, love your picks! I listened to that Adele songs about a 1000 times, haha. Have a great weekend! I love the new Adele song! Hope you have an amazing time with your family! Love those ornaments-so so cute! Love the return address idea! I'm totally going to do that! Thanks for this. Adele is beyond talented. OMG I must have those balloon letter ornaments! How cute!! I have a serious obsession with Christmas ornaments - I just can't help it! Those initial ornaments are SO adorable!! I want I want!! what a great way to help end homelessness! makes my heart happy to hear of stories like this. and i loved seeing your parents on your snapchat this weekend. such a cute couple! oooh that dinner is so fancy, and i love that they are doing something to end elder homelessness, what a good cause! posh and becks! hilarious. he definitely is hot. shame about his voice though.